The Daily Telegraph reports that the National Audit Office (NAO) is to probe claims of a deliberately “aggressive” official policy intended to deter patients from claiming their right to exemption from payment. According to the BDA more than 400,000 NHS dental patients a year are being fined £100 for form-filling mistakes, it has emerged as watchdogs launched an investigation. The BDA says patients are being routinely fined simply for filling in the wrong box in a complicated form when claiming their exemption. 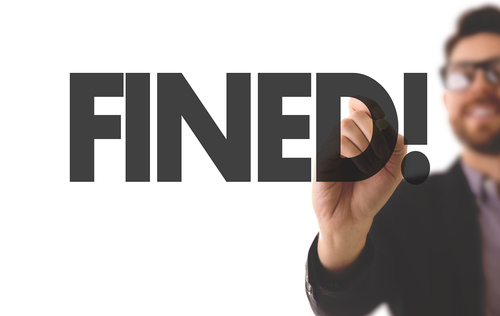 The number of fines issued has risen more than 10-fold in the past five years, from 33,887 in 2012/13 to 427,238 2017/18, figures from NHS Dental Statistics reveal. This coincides with a fall of two million treatments - 23 per cent drop - delivered to patients exempt from NHS charges since 2013/14. Of the fines that were challenged, around 90 per cent of appeals are won. The NAO said it would be investigating the scale of penalty charging, included the revenue generated for the NHS, as well as the cost of running collection services. Charlotte Waite, from the BDA, told the Daily Telegraph: “The government’s approach to penalty charges has hit hundreds of thousands of vulnerable patients, and encouraged millions more to miss out on care. Ministers have told patients not to run the risk when claiming, but offered precious little to make navigating the system any easier. It doesn’t matter if you’re a patient, a parent or a carer, ticking the wrong box on a form should not come with a £100 fine."